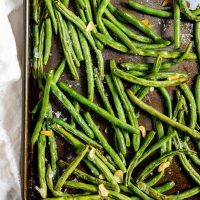 Roasted Fresh Green Beans and Garlic are a quick, easy and healthy side dish recipe for busy weeknights. If you are looking for a no-fuss side dish or just need a way to use up those green beans, this is what you need. This recipe is low carb, keto friendly, gluten free, vegan and vegetarian. Honestly, I’m just going to keep this post short and simple. 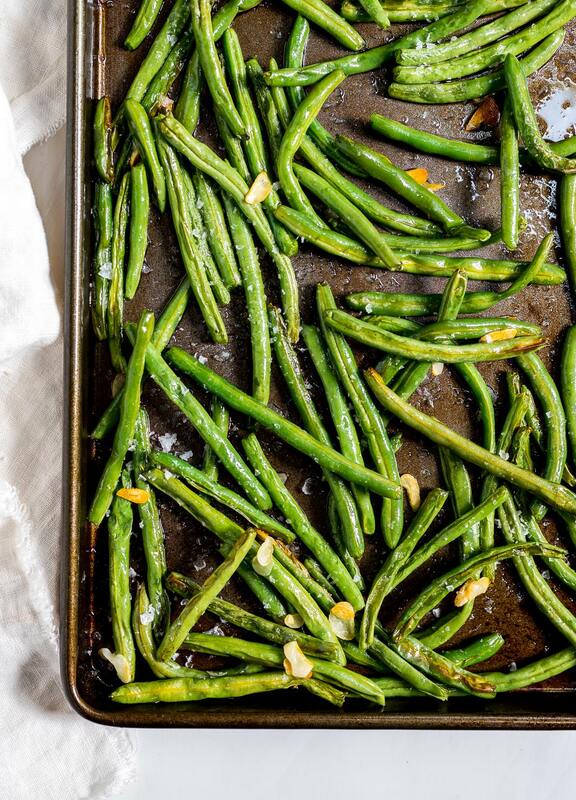 These Roasted Fresh Green Beans and Garlic don’t need a lot of build up, explanations or instructions. That is why this is such a great simple side dish for the weeknights! I obviously have been enjoying my fair share of fresh green beans with Roasted Green Beans with Bacon, Sheet Pan Green Beans and Sausage Dinner and now these Roasted Fresh Green Beans and Garlic. It’s because green beans are so easy to cook and go with just about any main course. Plus, my daughter LOVES them! 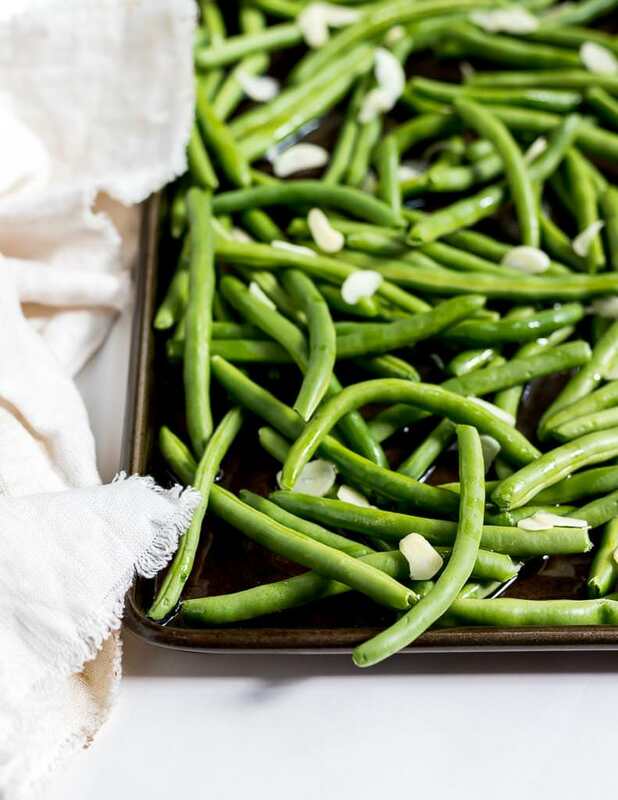 Roasted Fresh Green Beans and Garlic are a quick, easy and healthy side dish recipe for those busy weeknights. If you are looking for a no-fuss side dish or just need a way to use up those green beans, this is what you need. 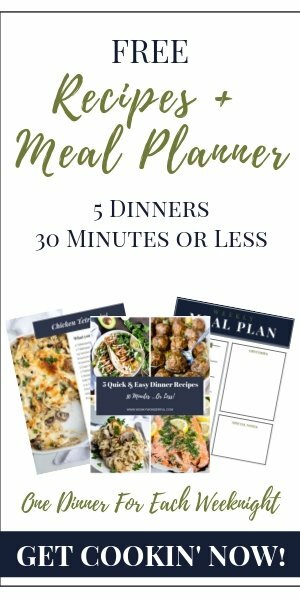 This recipe is low carb, keto friendly, gluten free, vegan and vegetarian. Grease a large rimmed baking sheet. 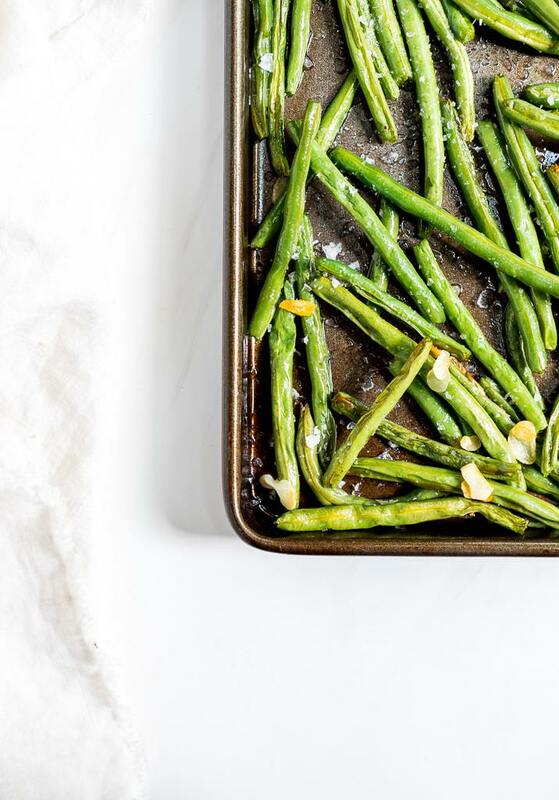 Transfer green beans to baking sheet, drizzle with oil and toss to coat. Top with sliced garlic. Bake for 8 minutes. Toss beans with a spatula. Try to avoid placing garlic on bottom of baking sheet to prevent over browning. Bake 8-10 more minutes or until preferred tenderness. Remove from oven, sprinkle with salt and pepper. Serve. *Mo' garlic is Mo' better in my opinion. If you love garlic, feel free to double the amount.